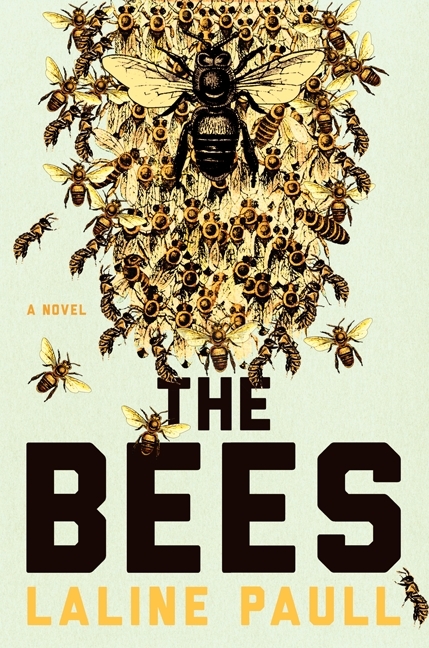 The Bees is one of the most hotly anticipated novels of the spring. It stands out from the countless other novels of this or many other seasons like a queen bee at the center of a hive of worker bees. It combines the best traits of a thriller, a character study, a hero’s quest, and a dystopian fantasy to powerful effect. Just as Richard Adams made readers care deeply about a warren of rabbits in his 1973 classic, Watership Down (perhaps the best novel for adults featuring anthropomorphized animals), Laline Paull’s The Bees will have readers worrying about the many threats, both external and internal, to the members of one hive in an English orchard. Flora 717 is a dutiful member of the sanitation workers, the lowest caste in the hive, when it is discovered that she can speak (the “flora kin” group is mute). She draws the attention of Sister Sage, one of the priestesses that manage the hive for the Queen. Before long, she is promoted to the Royal Nursery, caring for the Queen’s newborns. Sister Sage realizes that Flora 717 is a rare bee indeed and determines to maintain a close watch over her, using her for the benefit of the hive but wary of her capabilities. For her part, Flora is deeply conflicted between her genetic predisposition to “Accept, Obey, and Serve” (the workers’ mantra) and her rational and critical mind, which causes her to question, disobey, and ultimately lead. As she demonstrates her intelligence, bravery, and devotion to the Queen, she moves up literally and figuratively in the world of the hive. But her proximity to the Queen, the Priestesses, and the drones makes her privy to knowledge she would be better off not knowing. Before long, Flora has become a threat to the Queen in a way she could never have imagined. Beyond its intense and exciting plot, The Bees is distinguished by its well-drawn and credible characters. On one hand, Flora is consciously reluctant to follow her own path, for nothing could be less like a bee, yet she is compelled to take certain actions, as if her mind is being controlled by a force greater than herself. While the Queen frequently releases her unique scent into the hive to produce a sense of profound communal contentment (referred to as Devotion), and the Priestesses often attempt to take control of her mind, both to read it and to force their ideas down her antennae and into her, Flora proves shrewd and inventive in her passive resistance. The Priestesses are ominous in their cool and ruthless determination to protect the Queen and the general health of the hive. The Fertility Police, who wear helmets and hide their identities by releasing a scent blocker, are as relentless and vicious as any authoritarian regime’s secret police. The drones are depicted as the apian equivalent of spoiled and belligerent frat boys who hang around eating, drinking, shouting at each other, and engaging in sophomoric games of one-upmanship to demonstrate their virility. Perhaps the most astounding aspect of The Bees is Paull’s imaginative depiction of the hive, which is vividly rendered as something akin to a five-star luxury hotel. The Queen resides in the equivalent of a posh penthouse, and there are thousands of rooms for the workers, a sports bar and spa for the drones, the Queen’s Library (with panels that tell the stories of the hive’s religion and the outside world — such as The Honeyflow, The Kindness, and The Visitation), a Dance Hall (where Foragers communicate the location of nectar or danger to the other bees by “dancing”), a nursery and child care area, a staff cafeteria, and a maintenance and custodial department. Paull’s ability to create the hive’s detailed architecture in the mind’s eye is a singular achievement. The novel’s other noteworthy accomplishment is the way Paull has seamlessly incorporated a wealth of fascinating information about bees without bogging down the narrative. She researched the subject thoroughly and must have been tempted to include all sorts of digressions that would have interfered with the readability and pace of The Bees, but she has integrated the details of the apian world masterfully. In a similar vein, Paull has plausibly imagined the bees’ views of the outside world with its many creatures, humans, and man-made structures. One subplot involves a cautionary tale of contemporary environmental threats to the world’s honeybees. It was consistently intriguing to see our world through the compound eyes of a bee. Laline Paull’s background in screenwriting has resulted in a cinematic thriller with several scenes you are unlikely to forget. The Bees begs to be turned into a movie; the question is whether the CGI experts will dare to attempt it. Paull has provided filmmakers with a riveting story featuring a gamut of memorable characters and a unique setting. In the meantime, readers have the opportunity to experience The Bees in the movie theater of their own mind. Watch for my interview with Laline Paull to be posted on May 8. Great review! I keep seeing this book around and wondering how something can be written from a bee’s perspective. It sounds really interesting. Just finished The Bees recently, a wonderful imaginative ride totally agree with you this is a beautifully written book.